Frost with frosting. Use candy strips for handle on each. Decorate with candy as desired. Store loosely covered. 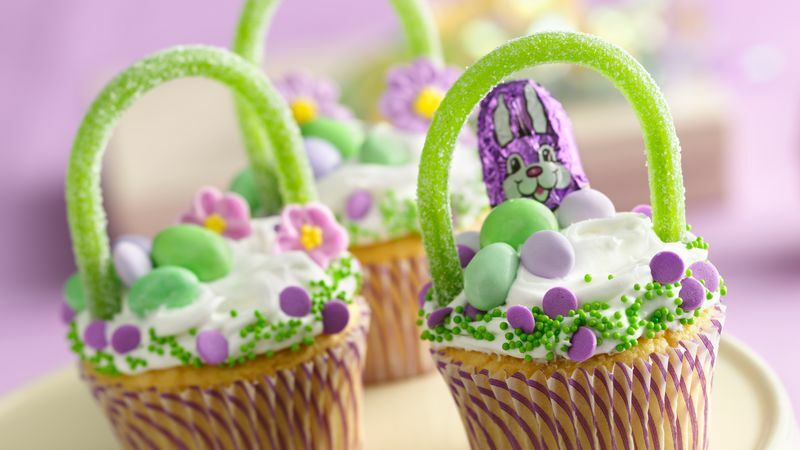 Make your fun Easter Basket Cupcakes even cuter! Pick up fun foil or fancifully decorated muffin cup liners at cake decorating or party supply stores. To make basket handles the same size, use the handle from the first basket to measure the length for the rest.